This is a guest post from nonprofit fundraising coach, author, speaker, and trainer Sandy Rees, CFRE, author of the blog Get Fully Funded. Raising money online isn’t so different from raising money in person. 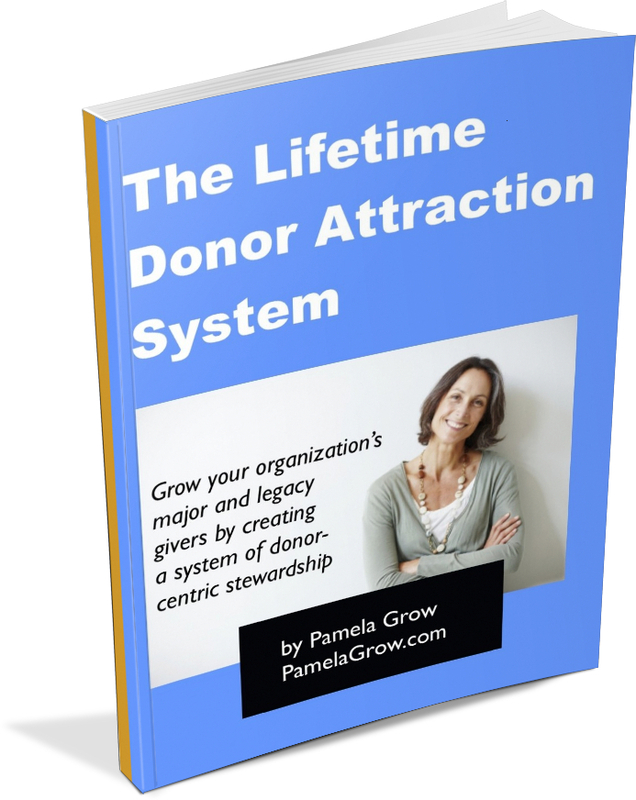 You have to find potential donors, tell your story, and ask for a gift. Still, it’s exciting to work with social media tools. Maybe it’s because they’re new. Maybe it’s because you can see results quickly as you work to build relationships. 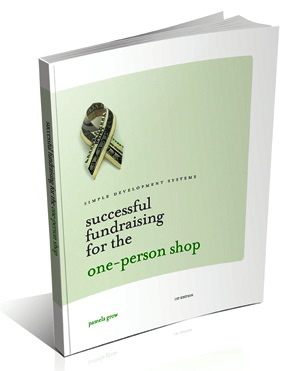 As you move into fundraising online, remember that there is no silver bullet for drawing donors to you. There’s nothing magical that will happen just because you have a website or a blog or a page on Facebook. If you don’t have a compelling case offline, going online will not magically make it compelling. But, there are millions of dollars being raised online. So where do you start? 1. Have a good website. The first thing to do is have a good website. Present information that your donors want to know, NOT what YOU want to put on there. Make it easy for people to donate. And make it easy for people to navigate your site. 2. Start a blog. Write about the things that are important to your organization, your clients, and your donors. Consistently post 3-4 times per week. Engage other folks in your organization to write if you need to. Keep it short, simple, and conversational. Have a DONATE button that’s easily found. 3. Share with your list with an electronic newsletters or ezines. 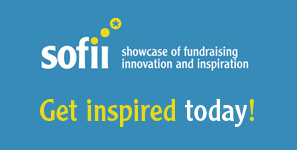 This is a great way to stay in touch with your prospects and donors online. DO NOT create a PDF of your print newsletter and expect that to work! You need to design a newsletter that will be easily read online. Set a production schedule and stick to it. Oh, and set a production schedule and stick to it. 4. Reach out further with Social Media: Facebook, LinkedIn, and Twitter. These tools are great for building relationships, but they all work slightly differently. Pick ONE and start. Don’t try to start all three at once – you might get overwhelmed. Know the result you are looking for before you start. Don’t jump on Facebook or Twitter just because everyone else you know is doing it. Have a plan before you begin. You’ll be much happier with the results you get. Sandy Rees is a native East Tennessean and has worked as a nonprofit fundraiser for the past 10 years at organizations in the Knoxville area including Knox Area Rescue Ministries, Second Harvest Food Bank, and the Joy of Music School. She is an active member of the Association of Fundraising Professionals (AFP) and the East Tennessee Coaches Association. She is a 2007 graduate of Leadership Loudon County. Her strengths include board development, direct mail, nonprofit marketing, strategic planning, and development management. Sandy obtained her CFRE (Certified Fundraising Executive) certification in 2003 after meeting all the requirements (www.cfre.org). She is an accomplished presenter and an AFP Master Trainer, and has provided fundraising seminars for America’s Second Harvest, Habitat for Humanity of Tennessee, the Association of Fundraising Professionals, and the Amputee Coalition of America. Sandy is active in the community. She has served as a Girl Scout leader and has volunteered with several local organizations, including Shangri-La Therapeutic Academy of Riding (STAR) and Loudon High School Band Boosters. Sandy lives on a small farm outside of Loudon, TN with her husband,two teenage daughters, four crazy cats and three horses. In her spare time, she likes to quilt, garden, and play with her horse, Harley.